hydraulic clicking press with 20 tons pressure is 20 ton hydraulic pressure for die cutting the small or medium pieces . 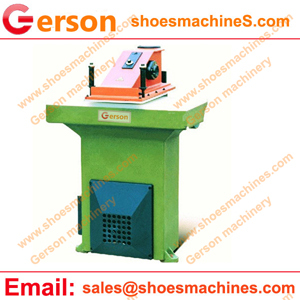 1.The hydraulic clicking press is built by Gerson which is 30 years’ experience in manufacturing clicker presses . 2.Double hand operation to make sure the safety for the worker. 4.Gerson also have Hydraulic Cutting Press (Clicker) Swing Arm, Four Column Clicker Press, Travelling Head Die Cutting Press ,if you need any die cutting machine for your production ,please contact Gerson at any time.